about it, you’ve “Googled” it, and you may have even cried over it. program can have on your business functions. stay organized within your company. is money and who doesn’t like saving both? You can now forget paper records. logged into the program and shared between users. routine tasks will free up time to put your efforts into more detailed tasks. 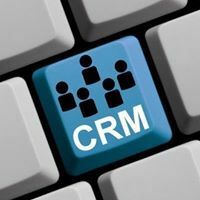 using the data that CRM analytics provide.